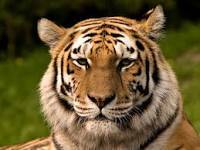 A number of Tiger species have already been extinct. Tigers may be one of the most admired animals, but they are also vulnerable to extinction. Surveys show India currently has 1706 tigers. Tigers lost 93% of their natural habitat due to the expansion of cities and agriculture by humans. Fewer tigers can survive in small, scattered islands of habitat, which lead to a higher risk of inbreeding. These small islands of habitat also make tigers more vulnerable to poaching. One of the world’s largest tiger populations is found in the Sundarbans—a large mangrove forest area shared by India and Bangladesh on the northern coast of the Indian Ocean. This area harbors Bengal tigers and protects coastal regions from storm surges and wind damage. However, rising sea levels that were caused by climate change threaten to wipe out these forests and the last remaining habitat of this tiger population. According to a WWF study, without mitigation efforts, projected sea level rise—nearly a foot by 2070—could destroy nearly the entire Sundarbans tiger habitat.